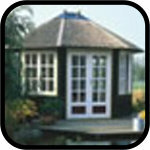 Lugarde Summerhouses - the wide variety of styles and sizes together with the possibility of combining (connecting buildings), make Lugarde summerhouses an attractive and practical choice for your garden. 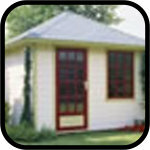 Your building can be built to suit your individual needs by selecting from the wide variety of windows and doors which Lugarde offer, enabling you to customise your building to your exact requirements. 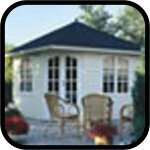 The choice of roofing finish of either shingles or thatch, combined with a unique and thorough construction, make a Lugarde summer house a natural choice for any garden. 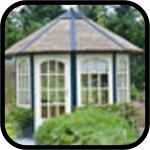 Lugarde are based in the Netherlands and are proven experts in the design and manufacture of quality garden buildings. 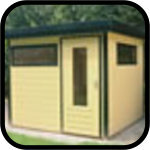 All buildings are precision made in a modern, efficient factory from High-grade North European Pine.